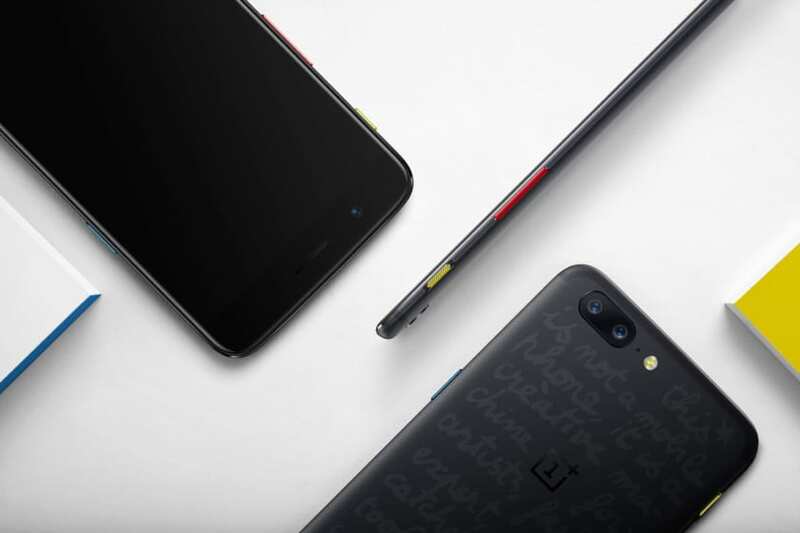 The OnePlus 5 smartphone is one of the most powerful phones launched in the recent time and put forward by the newly emerging Chinese company in the field of smartphone. The phone has received applause of many because of the strong potential and its affordable price, which is likely to be comparable to any other phone. It has 8GB of random access memory (RAM), the largest so far, and no other phone has exceeded this capacity. We have a strong phone that no one can deny, so the company decided to benefit from it in promoting its name and improving its sales more. The success of the phone made the Chinese company think about offering a limited version of the phone and unveiling it in the city of Noor, on Friday. This question will surely come to your mind. What is the special thing that the Chinese company will offer in the limited version of OnePlus 5? This was the same question we posed, there is an eternal relationship between the fashion world and the old French city of Paris, so OnePlus decided to offer a limited edition designed by one of the most famous fashion designers in the world, Jean-Charles de Castelbajac, yes the phone is signed, CEST, which was attended by leading fashion designers in the world. The new design for the OnePlus 5 phone is named “the Callection“, and the full name of the phone will be OnePlus 5 JCC + Limited Edition. This version will come with a blue power button, a yellow silent key, a red button to lower and raise the volume. Some of the writing is on the back of the phone. The phone will not only be displayed in Paris but other phone events in most European countries. The new version will feature 8 GB RAM and 128GB of internal storage. One of the world’s most powerful processors will be the Qualcomm Snapdragon 835 processor, and the other specifications will not change. As mentioned above, the phone will only be available in the old continent of Europe, but the rest of the products from T-shirts, bags, hats and wallets will be displayed in Europe, North America and Asia. The t-shirt will be sold for $30, and the rest of the products will be displayed in the coming period. OnePlus has collected five points in a test of standards that AnTuTu has applied for, and many experts say that this phone will remain for a long time as one of the most popular mobile phones in the world. The OnePlus 5 surpasses the Samsung Galaxy S8 Plus and Galaxy Note 8 in RAM, with 8 GB (RAM) of random access memory, While the Samsung phone includes random access memory capacity of 6 GB. You also have a powerful phone with a great camera designed to get the best picture. The rear dual lens camera has a 20-megapixel camera and an f / 2.6 lens. The second is a 16-megapixel camera with an f / 1.7 lens, equipped with dual LED flash with optical fixation, to get the best picture, to shoot 4K video at 30 frames per second, to capture Full HD at 60 frames per second and to shoot at HD at 120 frames per second. The front camera features a 16-megapixel camera with an f / 2.0 lens. The OnePlus 5 smartphone comes with a stunning 16-million-inch Optic AMOLED display with a large 5.5 ” screen with 1080p 1920 resolution of 401 pixels per inch. The screen is protected by the Corning Gorilla V-resistant V-Series 5. As we mentioned before, OnePlus 5 is currently the best phone regarding performance, surpassing more than one phone from the smartphone giants. The most advantageous feature of the Chinese company is that it supplied the phone with 8 GB of RAM, and the phone is running the Android 7.1 “Nougat” operating system and expect the company to release update of the new Android “Oreo”. Another notable feature is its powerful processor signed by Qualcomm Snapdragon 835, and this version will come with internal storage memory 128 GB. Date of announcement: June 2017. Phone dimensions: Length 154.2 mm, width 74.1 mm, thickness 7.3 mm. SIM Cards: Two SIM cards are allowed. Operating System: Android 7.1 “Nougat” operating system. Phone Processor: Featuring a powerful eight-core Snapdragon 835 processor. Battery: 3300 mA, non-removable and supports fast charging. Screen Type: Featuring an Optic AMOLED screen. Screen quality: 1080 * 1920 pixels, with a pixel density of 401 pixels per inch, and supports 16 million colours. Screen Protection: Corning Gorilla Corning V Glass Resistant to Crash and Scratch Resistant. External memory: There is no port for the external memory card. Rear Camera: The first double background camera features 16 megapixels and the second 20 megapixels with LED flash. Video Recorder: Supports 4K video shooting at 30 frames per second. Front camera: 16 megapixels and 1080p video. The global price of OnePlus 5 JCC is 670 USD. The price of the OnePlus 5 JCC phone when purchased in the Egyptian currency is expected be about 13500 Egyptian pounds. The price of the OnePlus 5 JCC that is projected to be purchased in the UAE currency is about AED 1850. The price of the OnePlus 5 JCC mobile phone that is supposed to be purchased in the UAE currency is about SR 1750. * Prices of smartphones in the article are the expected prices at the time of publication of the article; prices are changing up and down according to market movement.